In 2009, two English writers published a manifesto. Out of that manifesto grew a cultural movement: a rooted and branching network of creative activity, centred on the Dark Mountain journal, sustained by the work of a growing gang of collaborators and contributors, as well as the support of thousands of readers around the world. Together, we are walking away from the stories that our societies like to tell themselves, the stories that prevent us seeing clearly the extent of the ecological, social and cultural unravelling that is now underway. We are making art that doesn’t take the centrality of humans for granted. We are tracing the deep cultural roots of the mess the world is in. And we are looking for other stories, ones that can help us make sense of a time of disruption and uncertainty. There’s never been a simple answer to the question, ‘What is Dark Mountain?’ It’s many things, but here are seven of them. It started, as lots of things do just now, on the internet. Dougald Hine and Paul Kingsnorth had been leaving comments on each other’s blogs and this led to a conversation over email, then in quiet corners of pubs. Slowly, over the months, they found enough common ground to embark on a project together. That project has taken many forms: a manifesto, an ongoing series of books, four annual festivals and far more events, collaborations and friendships. But among all that followed, it often seems that what has mattered most to people are the quiet conversations that happen around Dark Mountain, often late at night, around a campfire or on a computer screen. Conversations where we get to name our fears, our doubts, our uncertainties and our fragile hopes. Read more about the origins of Dark Mountain. 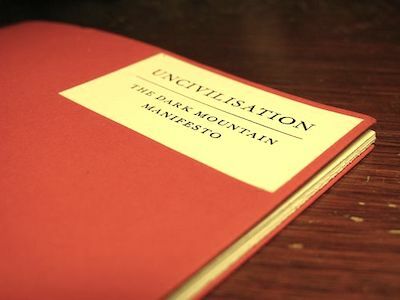 This twenty-page pamphlet took Dark Mountain out into the world, travelling further than its authors ever anticipated. It was written in the autumn of 2008, as the financial system shook to its foundations. ‘All around us, shifts are underway which suggest that our whole way of living is already passing into history.’ Not only the destabilisation of the project of economic globalisation which had dominated the preceding decades, but the fraying of the ecological foundations as a result of industrial exploitation. Faced with this unravelling, the manifesto calls us to question the stories our societies like to tell about the world and our place within it: the myth of progress, the myth of human separation from nature, the myth of civilisation. And it claims a particular role for storytellers and culturemakers in a time when the stories we live by have become untenable. This is the project of ‘Uncivilised’ art and writing set out in the invitation which closes the manifesto. Read the text of the manifesto online – or order the 2014 paperback edition with a new introduction. In the pages of the Dark Mountain journal, you will meet the work of writers, thinkers and artists who have taken up the invitation made in the manifesto. Since our first issue, launched in Summer 2010, publishing these books has been the core activity of the project. Each issue takes the form of a beautifully-produced hardback where a wide mixture of voices and styles intertwine. Since 2014, we have published two issues a year – and starting with Issue 8, each year’s autumn book has broken from our established format to plunge deeper into a special theme (technology, poetics, the sacred), while the odd-numbered spring issues return to the classic format and range of work. With each issue, we make a public call for contributions, so look out for the call-outs on this site, or sign up for our newsletter to make sure you hear about the next one. 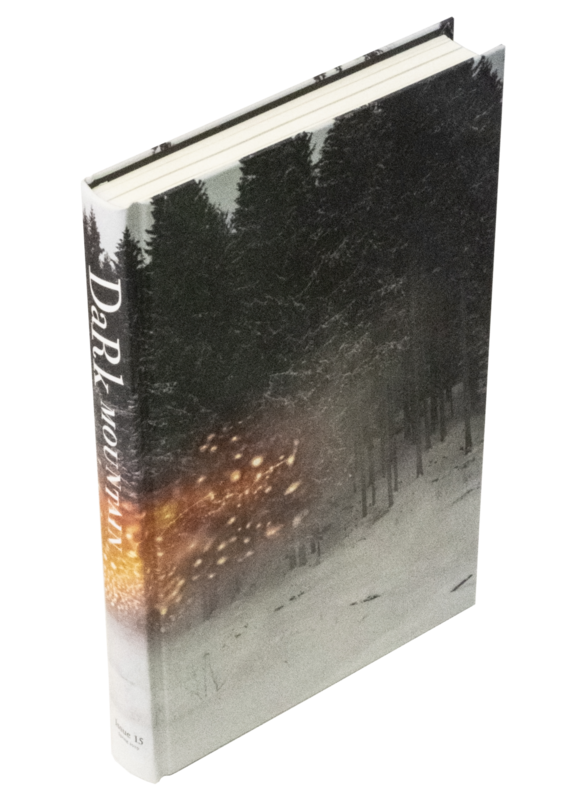 Check out past issues of Dark Mountain – or subscribe to receive future books. Before we had even published our first book, an invitation came to host a weekend of talks, performances and workshops in Llangollen, Wales. This led to the creation of Uncivilisation, an annual festival which we ran between 2010-13. It was through the festival that many of the current Dark Mountain team first met and got to know each other. After four years, we decided it was time to lay down the responsibility of running a single annual event in one corner of the British Isles. 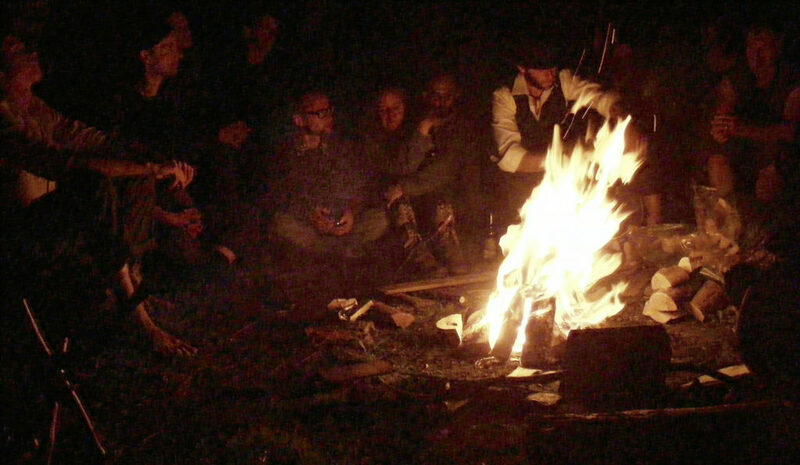 But the opportunity to meet in person, rather than over screens, is still very much part of the life of the project – whether that is through collaborations with the organisers of larger festivals, local gatherings, talks, workshops or courses at the small schools created by Dark Mountain collaborators. Read more about past Dark Mountain events – or look out for upcoming events. This project started out with an invitation to writers and artists, people whose work could find a home within the pages of the books we wanted to publish. But it soon became clear that the manifesto was inspiring many other kinds of activity. From a huge mural on the side of a closed-down art college in Doncaster, to a number one album in Norway, to a year-long artistic workshop at Sweden’s national theatre – these are just a few of the unexpected manifestations of this widening web of collaborations. Read more about the way that Dark Mountain has branched out beyond the pages of our books. It’s Saturday morning at the second Uncivilisation festival. In the main tent, the speaker has thirty audience volunteers penned within a tight square of rope, reenacting the overcrowding of the cell into which he was thrust on his first day in a Russian prison. Among the other voices we hear in that session, there’s an ex-Wikileaks hacker, a security activist working with resistance movements in North Africa and the Middle East, and a former banker from Ireland who speaks furiously about the system inside which he used to work. On festival stages and in the pages of our books, we’ve sought to make Dark Mountain a bridge between worlds, a place of unexpected juxtapositions. For sure, those who are drawn to the conversations and collaborations going on around this project tend to have certain experiences in common. But we’re not interested in creating a subculture, a shared identity in which we can take refuge. There are many voices here and no party line. We don’t try to hide our differences, or to debate each other into submission, but we start from where we find ourselves. Later that weekend, in the same tent, the storyteller Martin Shaw reminds us that old stories often start at the point where the wild knight of the woods rides in to Arthur’s court. Change comes from the edges – but it doesn’t come from staying at the edges, guarding our countercultural purity. 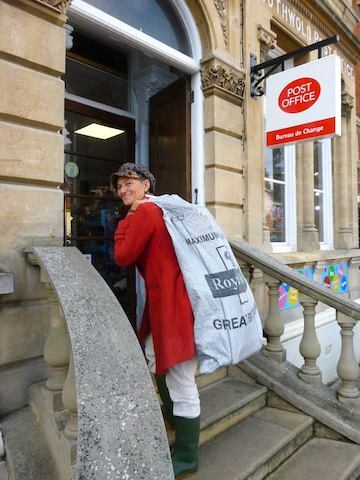 The Dark Mountain global distribution depot (otherwise known as Charlotte) swings into action at Southwold Post Office, October 2016. For almost ten years, Dark Mountain has been brought into being and sustained by the work of a growing and changing gang of friends and collaborators. There is no office. The books are stacked in boxes around Charlotte and Mark’s house and sent out from their local post office. The rest of the collective that runs the project are scattered across several countries. We all work as freelancers, living by our wits and fitting our work with this project in around the other jobs that help to pay the rent. We end up putting in far more time into the books, the events and this website than we can pay ourselves for. We do it because few things have felt more meaningful to us than being part of Dark Mountain. A small grant from the Deep Ecology Foundation made it possible for us to keep going through the early years, but today the income that supports this project comes entirely from the sale of books and subscriptions, along with personal donations from our readers. That enables us to follow our own vision, rather than being taken off course by the pursuit of funding. Thank you to everyone whose generosity has made our work possible. Read more about Dark Mountain as an organisation – and meet the team responsible for running the project.